Hearing a bit about the film, I knew going in that some people had been upset at the ending. They didn’t explain why because they wanted to be respectful to those who hadn’t seen it yet. But largely, the stories I heard were that everyone in the audience could hardly believe what happened. They felt unease. Discontent. Unbalance. This story didn’t fit with their preconceived notions of films in the Marvel Cinematic Universe. And because the intent of the film didn’t mesh with their desired message, it left shock and awe distastefully settle within them. And if knowledge of a second part of the story hadn’t been public, I’m sure the outcry would have been far more negative. But I think this proves that Marvel Studios has a feel for the message they want to portray with their artistry. For one, the audience feeling unbalanced when, with the snap of his fingers, Thanos ended the lives of half the people in the universe was intended. The filmmakers wanted us to feel unbalanced. It was part of the theme of the movie. The whole subplot of Thanos’ background with Gamora, while thought by some to be unnecessary, is integral to the theme of the film. The little dual-bladed dagger, “perfectly balanced.” It gives us the understanding that balance is found while two halves equate with one another. Like how the first part of a two-part story leaves us unbalanced, without the other. This is even more blatant if you look at the imagery used when these parts of the story are going on. The architecture of Gamora’s people is vaguely Chinese. Balance and harmony along with the Chinese-looking pagoda roofs, anyone else getting images of yin-yang in their heads? Something that is only whole while the two parts are held in unison, even though opposites. 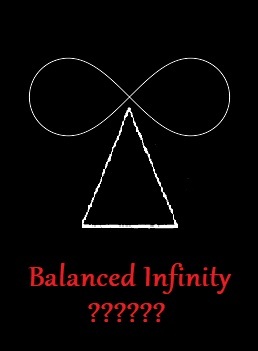 Another image for balance can be the symbol for infinity itself. The loops that go around and back over itself. The symbol that finds it’s balance in the single center point. Dr. Strange tells Iron-Man that there is only a single way to defeat Thanos. That single point, found in the center to maintain balance, could only be achieved if Thanos gets the time gem. If Thanos “wins” he can be defeated. The filmmakers are even playing with the words used in their title for the theme of the story. And the final part I want to talk about, in regards to the unbalance we as the audience felt, comes in the fact that we wanted the heroes to win at the end of the story. The problem is that we were thinking of the superheroes as the “heroes,” the protagonists, of the story. When truthfully, the filmmakers gave us a movie where the “hero” was Thanos. Tell me if this sounds familiar. A person has a goal that they believe will save the world/universe. They go on a quest to find the items of power (a.k.a. “plot coupons”) that will enable them to perform their task. People who disagree with the protagonist’s desire to “save the world/universe” do all that they can to stop the protagonist from achieving their goal. But in the end, the protagonist overcomes all obstacles to complete their goal. All of these things mix together to tell us that we should feel off-balance until the completion of the story. It’s not that this film is incomplete, because the hero of this film succeeded. But the fullness of the story must be found elsewhere. And in this, Marvel Studios artfully crafted a film that requires the audience to understand their intention for the story. Some of the audience got upset because a particular hero turned to dust, or because they couldn’t believe Thanos won. Some complain because a number of the deaths will be undone in a very comic book method in the second half. “Death should be permanent or it serves no purpose,” some lament. I believe that this outlash is, in part, because the ending jarred people from the message they wanted to get from a Marvel movie. That communication between filmmakers and audience didn’t properly happen. And this made me think about how we view meaning in communication. Is it the one communicating that gives meaning to what’s said? Or is it the one being communicated to? Or both? It’s become more and more common to believe that the interpretation of the one being communicated to is the most important part of communication. That personal interpretation is the primary place for meaning. We feel that we have a right to complain about a choice that the filmmakers made because our perception of the art doesn’t mesh with the message that we want it to say. Anybody else see the ridiculousness of this? We blame others for not conforming to the message that we want them to say. We think that our own perspective is not just the best way, but the only way. And any thought outside of that is wrong. This is judgmental, manipulative, and selfish. Communication, of any type, should rather find its primary meaning in the one communicating. It’s the job of the audience to discover the meaning (no matter how multi-faceted it is) of the communication’s author. Granted, this means that the author should strive to communicate in a method that’s easy to parse, but what they mean is the primary place of understanding. That’s not to say that various applications can’t be discovered by the same message. Our various perspectives allow us to appreciate multiple applications. It’s part of the complexity of communication. But this does not negate the primary source of the message’s meaning coming from the author/speaker/artist/etc. 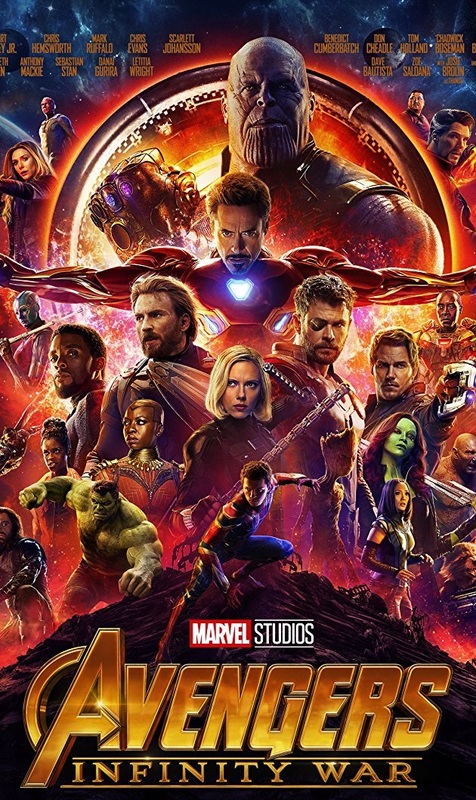 Interestingly, when I started thinking about the theme of Avengers: Infinity War and other people’s reaction, it led me to think about interpretation of the bible. A strange path, I know, but welcome to my mind. I thought about how many people come to the bible with their own message in mind. We want the bible to speak in such a way that agrees with our understanding. We highlight the places where it does. And the places where it doesn’t? It settles distastefully. Some complain, saying that it can’t be right. Others sweep it under the rug to forget those parts that don’t conform to their message. And still others just continue unbalanced because they don’t know any better. But again, this is us complaining that the choices of God don’t mesh with the message that we want him to say. It’s ridiculous. God is the primary source of meaning. What he says, what his Spirit led the authors of the bible to write, is his message. And it’s our job to seek understanding for the message he wants to give to his people, of every generation. Applications will vary. Our place of birth, our socioeconomic class, our gender, our history with the people of God, everything will make us come to move from the truth of God’s message in a different way. But the message of God is singular. Multifaceted, yes, but singular. This means that we who look at the message of God should stop asking “What does this passage say to me” and start asking, “What is God’s message and it’s application to me?” It might sound like a very small change. But in truth, it’s a difference between thinking that our interpretation is the primary source of meaning and that God’s purpose is the primary source of meaning. Who would you rather look to for meaning? A broken, fallen, ever-shifting human being? Or the God who remains consistent for infinity? I know who I’d pick.